Important features you should keep an eye out for are the type of staples you can use and how many of them the magazine will hold. If the price is an important deciding factor to you, we’ll also indicate which guns are more affordable. Here are the five best small electric staple gun models of the moment. The list is in reverse order according to customer rating. 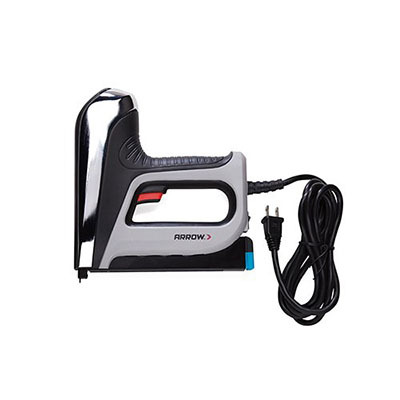 A small electric staple gun is a useful item to have in your toolbox. They are perfect for a number of projects. There are manual staple guns, which work well, but sometimes you need some extra power. 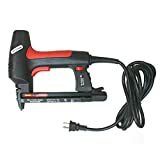 The best electric staple gun will produce the kind of force you need to staple into harder surfaces in a short span of time. The first choice on your list of the best small electric staple gun models is a professional-grade gun with spiral-drive technology for improved power and precision. There is a soft-molded grip that provides an easy-to-squeeze trigger mechanism plus padding for comfort. 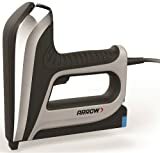 The Arrow Fastener T50AC Professional Electric Staple Gun and Nailer has a convenient indicator light. This way, you know exactly when your staple or nail is getting low. 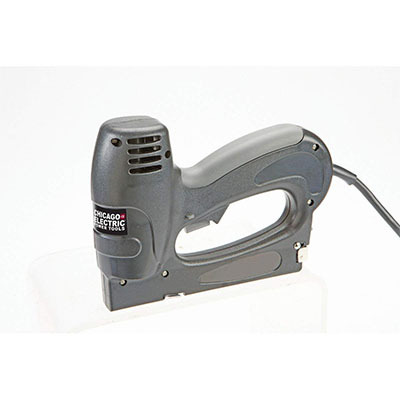 The gun that received the next highest customer rating for the best small electric staple gun models is a 3-in-1 tool. It fires staples with speed and precision, plus will drive brads and pins into most surfaces. 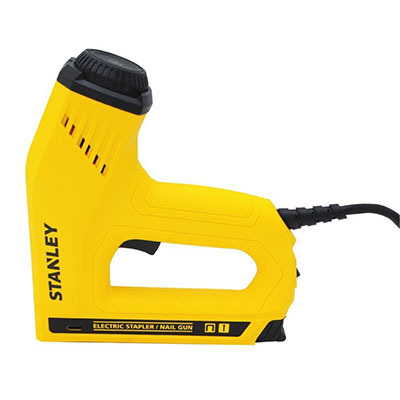 Stanley is one of the most well-known names in home improvement tools and products. 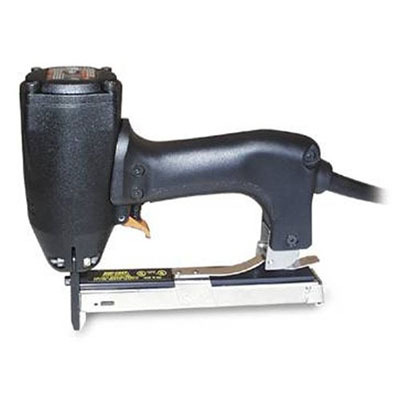 Their TRE550Z Electric staple gun continues these standards of excellence. It has the power to drive staples and brads into hard surfaces. At the same tie, it also offers a low setting if you’re dealing with softer materials. If this small presentation caught your attention, you should learn more about this model. That’s why we worked on a full review on Stanley TRE550Z Electric Staple/Brad Nail Gun. The next stapler is small and maneuverable, yet fires staples with professional precision. It is a more expensive model but carries a full 2-year warranty. This is a commercial-grade tool that is perfect for laying carpet or stapling other types of projects. The final choice on your list of the best small electric staple gun models received the best overall customer rating. 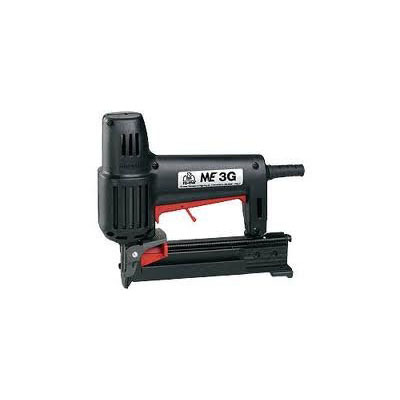 This staple gun is made of reinforced fiberglass covering which is supported by a full 2-year warranty. These are five of the best small electric staple gun models, each with solid customer reviews. If you’ve used any of these staple guns, let us know how you liked it in the comment section below.